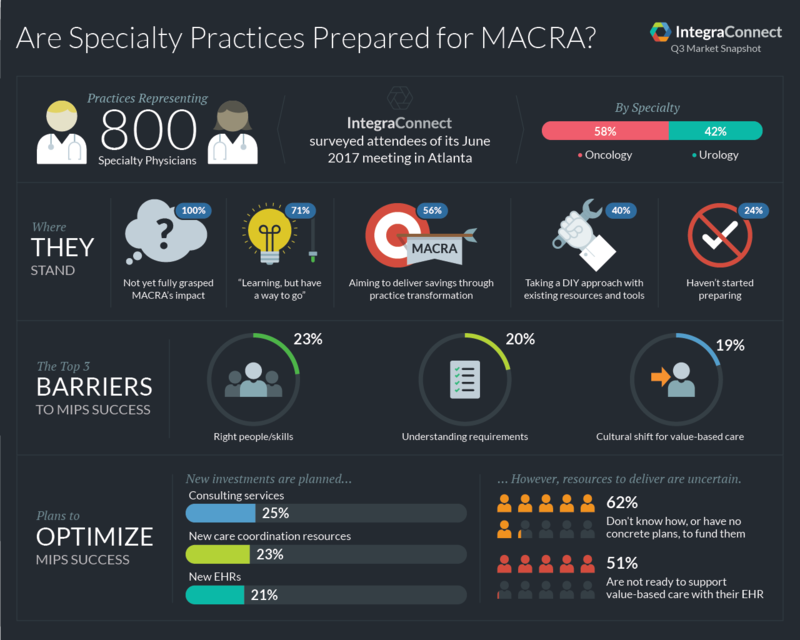 We surveyed attendees of our June 2017 meeting in Atlanta to see where MACRA has impacted specialists so far and what they were doing to prepare. 100% of surveyed specialists (oncologists & urologists) have not fully grasped MACRA’s impact. To succeed in value-based care, nothing short of operational transformation is required. Specialty care needs a comprehensive value-based care solution to support that transformation and take patient care to new heights. Integra Connect provides integrated cloud based technologies and services to help providers meet and exceed demands of the changing healthcare landscape.